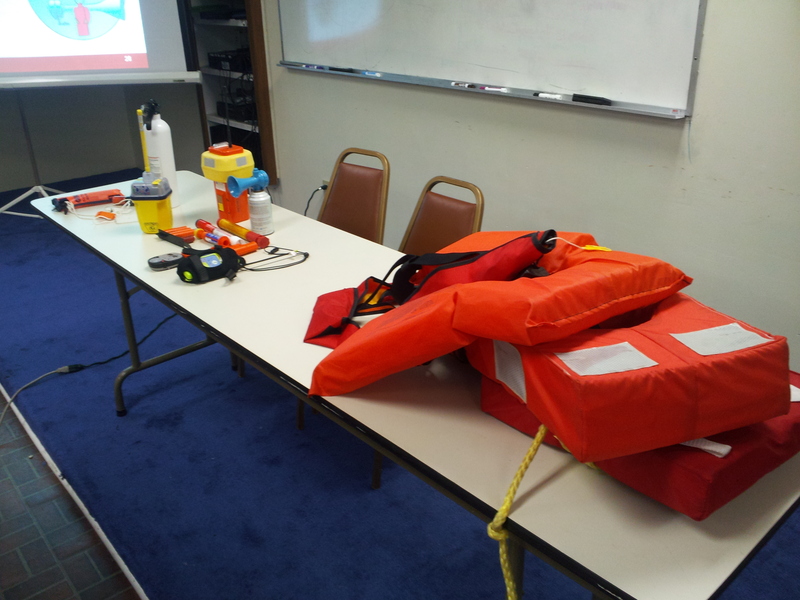 Just finished up week #4 of the US Coast Guard Safe Boating course. It was about required and recommended equipment for your boat. I’m sure you know that everyone on board needs a life jacket. Did you know you need an extra one to throw in case someone falls in the water? They all need to be Coast Guard approved too. You also need 3 distress signals that can be seen day or night. That pretty much means some kind of flare. Another thing you need is a sound making device such as a whistle, a fog horn, or yes, even a firearm. That’s in case your stuck in fog. They had a table full of all kinds of safety stuff. 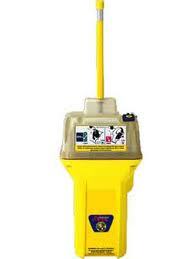 One of the more expensive items was an EPIRB – an Emergency Position-Indicating Radio Beacon. 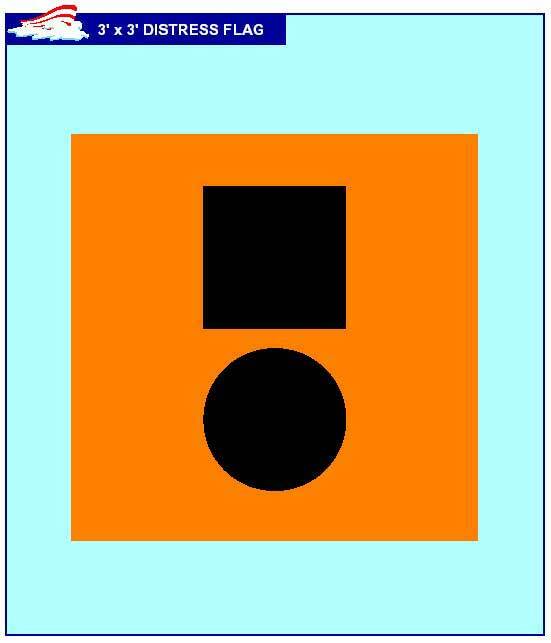 If you see an orange flag with a black square above a black circle – you’re looking at a distress signal. During the break they got out a bunch of flares and let students fire them off. I’ve done it before so I just watched. It’s all good stuff to know. Hope I never have to use it. This entry was posted in Other and tagged Safety, USCG Auxiliary. Bookmark the permalink. ← Boat School tag along and being checked out on boat handling!